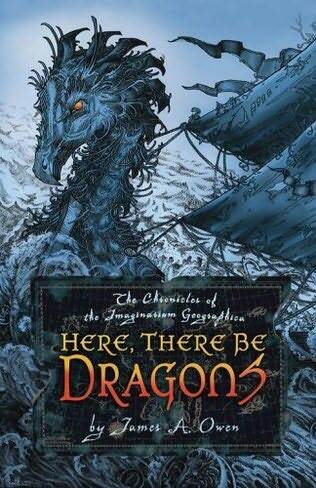 The premise of Here, There Be Dragons, written and illustrated by James A. Owen, the first in a series of books that will come to an end with book seven, The First Dragon, in November of this year, is pretty darn cool. In 1917, WWI London, Jack, John and Charles find themselves at the home of the recently murdered Professor Stellan Sigurdsson. John, home from fighting in the war, was a student of Sigurdsson's, Charles, an editor at the Oxford University Press, was working with the professor on annotations to one of his publications, and Jack, about to begin his studies at Oxford, was delivering papers from the professor's solicitor in Kent. Before they can even begin to piece together the puzzle of the professor's death and their strange meeting, they find themselves being chased through the streets of the city by a pack of wendigo, a creature that was once human but turned into a powerful, hideous creature through cannibalism. 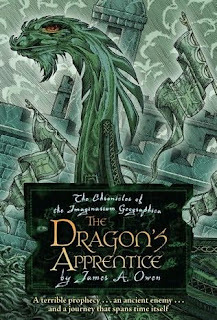 They take refuge in a private club located at 221B Baker street where they are tracked down by a curious little man names Bert who arrives bearing the Imaginarium Geographica, the book that had been in the Professor's possession, the book that he was teaching John how to read, the book that he was presumably murdered for. 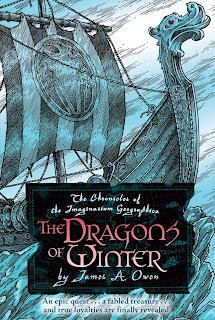 Bert implores the trio to join him on his ship, the Indigo Dragon, one of only seven vessels that can cross the Frontier between worlds and travel to the Archepelago of Dreams, captained by his daughter, Aven, and they flee the club. As the ship heads out into the night, they quickly find that they are sailing in another realm. They are headed to the Archipelago of Dream where their first stop is Avalon. Owen's intention with this series is ambitious, as he seems to include all the people, places and creators of fantasy and myth in this world he has invented. Bert informs John that he was selected to be the Caretaker Principia of the Imaginarium Geographica, with Jack and Charles being his assistants. They pass through the realm of Avalon, where they encounter the Green Knight and three witches, referred to as the three that are one, or the Morgaine, and presumably they were once Morgan le Fay. 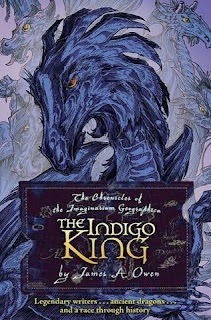 They have in their service a boy named Bug who ends up a stowaway on the Indigo Dragon. The party soon learns that the Winter King is trying to assume the Silver Throne of Paralon, the capital of the Archipelago of Dreams, which is their next stop. There, they will join a council meeting to determine the heir to a throne that has been empty some twenty years, since the last King, Archibald, is said to have gone mad for power and killed his entire family before killing himself. At Paralon, the party is joined by Tummeler, a badger driving a car that looks like a cross between Cinderella's pumpkin coach and a clockwork car called the Curious Diversity. Chaos ensues and the group are on the run again. 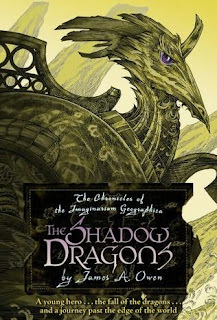 They travel to meet a dragon who knows more than he lets on, but gives them advice nonetheless, as they head out to the battle between the thousands of different races in the Archipelago as the fight to end the rule of Men begins. The five great races, Men, Trolls, Goblins, Elves and Dwarves, make up the ruling armies and seem insurmountable. On the way, they encounter Magwich (yes, THE Magwich from Great Expectations. 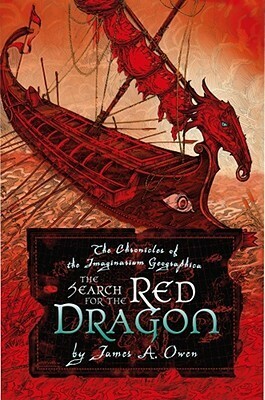 His presence in the Archipelago is explained as such: he was a former apprentice to Dickens, who had been a Caretaker Principia, before joining forces with the Winter King) who makes their life difficult, Captain Nemo, the thousands year old Cartographer who created the Imaginarium Geographica, a man named Ordo Maas who built the original seven dragon vessels and seems like he just might be Noah, having constructed the dragon vessels from the ark that he and his sons built to save them from a coming flood. 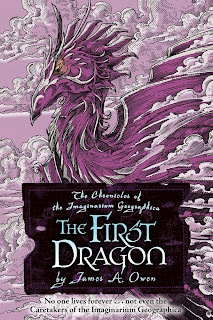 They all converge at the Island at the Edge of the World that really does sit on the edge of the world where an epic battle ensues, the end of which arrives with the arrival of the dragons who have not been seen in the Archipelago for ages, since Archibald breached a promise between the two. Stonehenge, a cast iron pot that is actually Pandora's Box and a ring come into play, as do some badly made hand grenades that, who it turns out does not have a shadow and can thus be either good or evil, the choice is his, do some sad damage. But, in the end, it seems that Age of Men is not over. When the Indigo Dragon returns John, Jack and Charles to London, Bert asks them to sign their names to the list of Caretakers of the Imaginarium Geographica who came before. There are some wonderful (obvious) names on this list and some gasp-worthy revelations all around. I don't think I'll be ruining too much if I tell you that John turns out to be JRR Tolkein, Jack is CS Lewis and Charles is Charles Williams, a lesser known contemporary of theirs who wrote fantasy set in the real world. I won't tell you who Bert turns out to be or who the Caretaker before John who abandoned his post was. 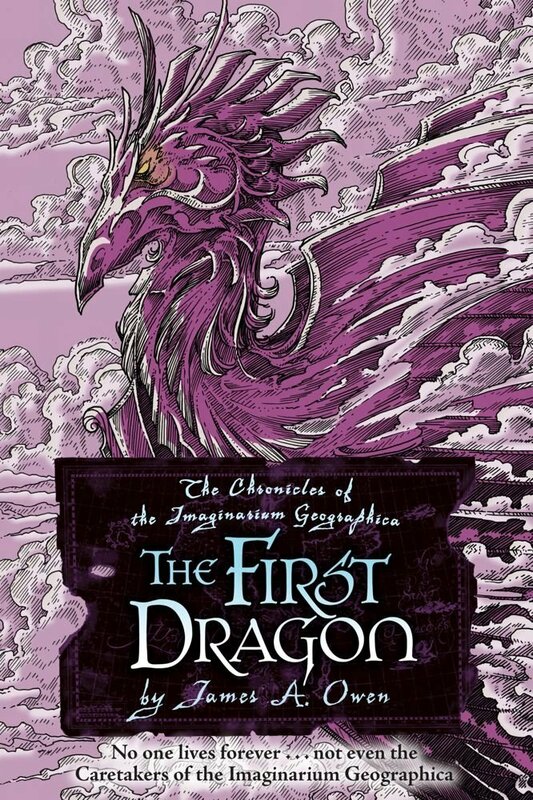 I have to confess, as much as I loved spotting all the people and places from the world of fantasy while reading Here, There Be Dragons, it didn't hold my interest from start to finish. I know that this is heretical to say, but it reminded me of what I don't like about Tolkein and even Lewis's writing - I find it to be too overly masculine in tone and content for my tastes, and this is not just reflected in the lack of female characters. Aven is the only female protagonist in the book, and her role is minor. It's clear from the start that the plot is leading toward a massive battle between the Winter King (who turns out to be, oh, well, you'll get there) that will set up the next book and the next and the next. The few reviews of Here, There Be Dragons and the other books in the series that I could find criticized the heavy handed, white-male-Eurocentric nature of the books as well as the erratic, hectic plotting. And, while I agree with some of that, I do think that this book will be read with an entirely different outlook by a ten, eleven or twelve year old, especially one who, in this day and age, in all likelihood has seen the movie versions of The Lord of the Rings and the first three Narnia books and maybe even read these books as well. This is a book to be discovered and savored by a reader new to the fantasy genre, not necessarily one who has been traveling through it for decades.